Mountain bluebird (male); photo by Alexandra MacKenzie on Flickr (noncommercial use permitted with attribution / no derivative works). A member of the thrush family, the mountain bluebird lives in Nevada's high country and sings with a clear, short warble. 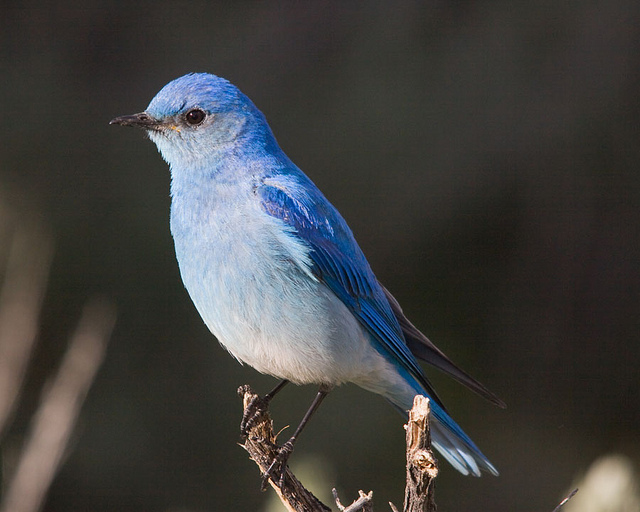 The mountain bluebird is a small thrush found on ranchland and other open areas of the American West. 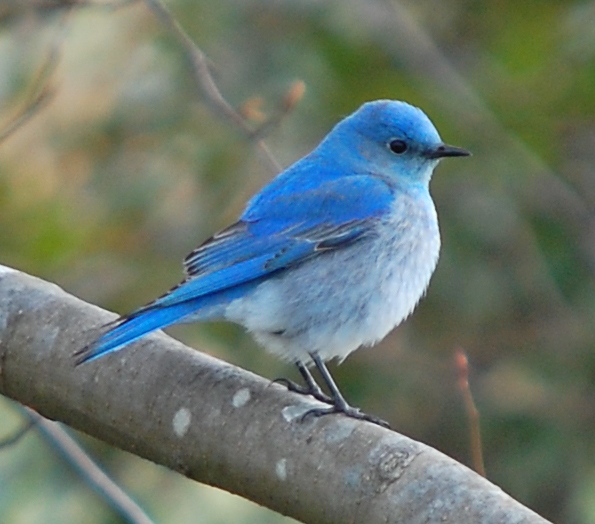 It prefers more open habitats than other bluebirds and can be found in colder habitats in winter. Only the female bluebird builds the nest. The male sometimes acts as if he is helping, but he either brings no nest material or he drops it on the way. The male is a spectacular azure blue with a white belly, while the female is brown with a bluish rump, tail, and wings. Mountain bluebirds hover over the ground and fly down to catch insects (and may also fly from a perch to catch them). Their main diet consists of insects and berries. They may forage in flocks in winter. Mountain bluebird; photo by oldbilluk on Flickr (noncommercial use permitted with attribution / share alike).